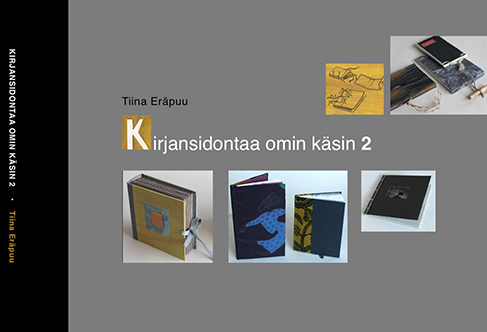 Kirjansidontaa omin käsin 2 is an illustrated guide book for book binding, containing also sections for paper colouring methods, book repair and a chapter considering artist's books. The idea for this book came from my teaching experience of various book binding workshops. The book contains instruction drawings of all the prosesses and also photographs.